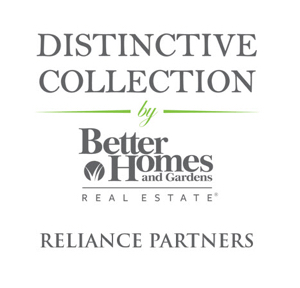 Some or all of the listings below are provided by the BHG Reliance Partners - Oakland office. This is a home with a secondary unit for extra income, as well as a small "in-law" that creates lots of Air bnb income. The main house is a 4 bedroom, 2 bath home with an open floor plan on the main level and sunny bedrooms, including a master suite upstairs. There are hardwood floors on the main level and original wood floors in most rooms upstairs. Improvements include a newer foundation, radiant heat, tankless HWH and lots more. There is a recently constructed secondary unit at the lower level, a large one bedroom unit with an open floor plan, nice finishes, cement floors with radiant heat, and it opens to nice patio area. Another additional space has been created in the detached garage that functions as an Air bnb rental for additional income or it could be a great home office. Air bnb unit averages $30k/yr income. This home sits steps away from the Grand Lake and Lakeshore Districts with lots of cafes, restaurants and shops, Lake Merritt. Ready for Summer? Relax in the sunshine and enjoy the over sized backyard with Black Pebble-Tech Pool, waterfall feature and Spa! A generous sized eat in Kitchen allows plenty of space to prepare for holidays, meal prep, or just day to day meals. There is plenty of separate space to unwind as well! An extra room downstairs for an office, yoga room, man cave or another bedroom. The Loft Upstairs is enormous enough to put in a pool table or a family media room. The home comes with security system, safe, washer/dryer, refrigerator. Recently painted inside and out with new flooring in kitchen and master bedroom! Well desired Hanover Terrace Condo, Prime Location! A block away to Lake Merritt, Lakeshore and walking distance to BART, Grand lake theater, the Saturday farmer's market, restaurants, shops and more entertainment options. Open floor plan with living room/ Dining area, wood burning fireplace, hard wood flooring through-out. In-unit laundry, 2 patios connected to bedrooms and living room. 1 parking space in the gated garage, secured front gate. Lovely fourplex on a nice corner lot. Can look great with some paint and landscaping. Building comprises 3 studios and 1-one bedroom. One unit has been remodeled. The bottom units have high ceilings. The one bedroom unit shows well and has a big deck. Large basement with plenty of height and storage. Good size lot. Driveway with gate. Sewer lateral compliant. Fast access to 580 and 880. Fruitvale BART is nearby. A dynamic opportunity to build in the border of City of Oakland and Berkeley. Build your dream home on beautiful lot with canyon views nestled among multi. million custom homes. Lot is upward sloping. An ideal for a financially qualified contractor who has experience and knowledge of hill constructions. Awesome opportunity to build your dream home. Previously approved plans and permits for a gorgeous 4,268 sq ft Mediterranean Designer Home! City and County fees paid. Located across from the Bishop Ct. Minutes from Montclair Village and Skyline Regional Parks. Next to City land. New homes being built 2 doors away. Best deal in Montclair!